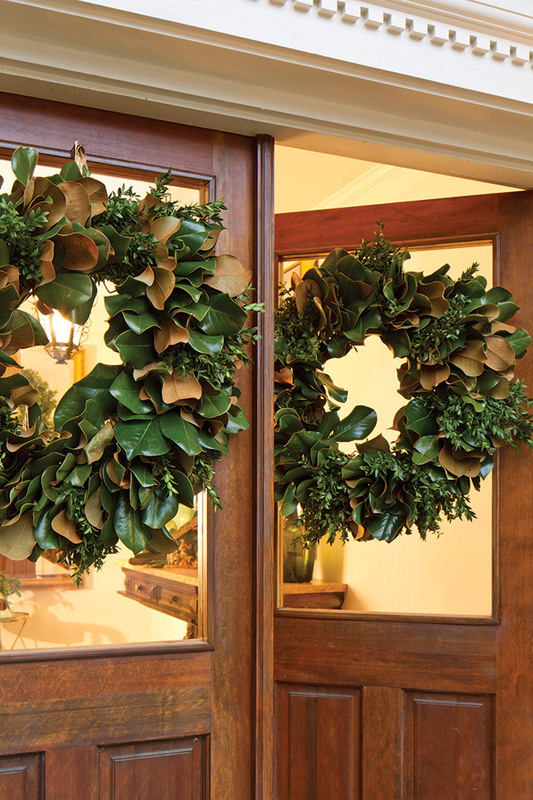 By far the most common place to adorn with a wreath is the front door. 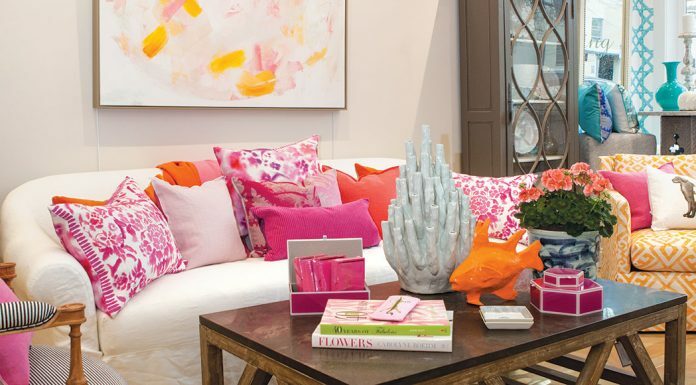 It’s as if you are starting your holiday welcome before even letting your guests inside. 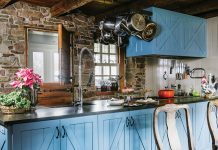 Double the blank space means double the decorating potential. 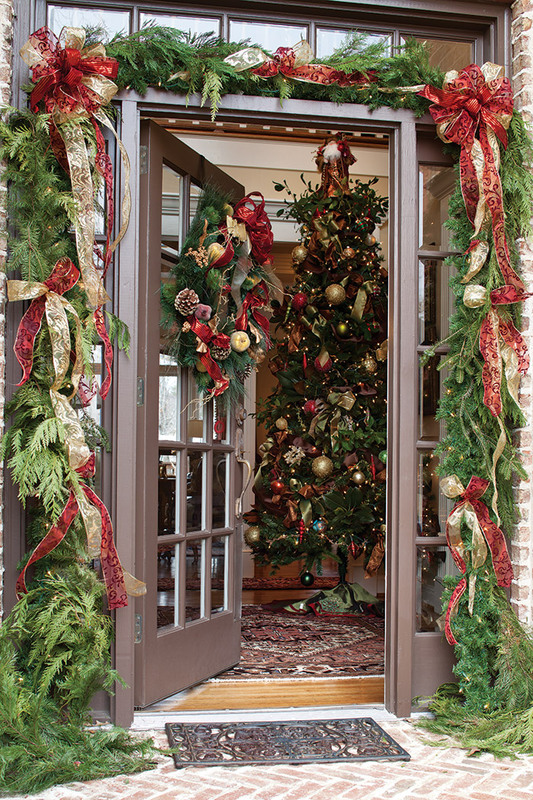 Hang matching wreaths on French doors to create a clean, symmetrical look. 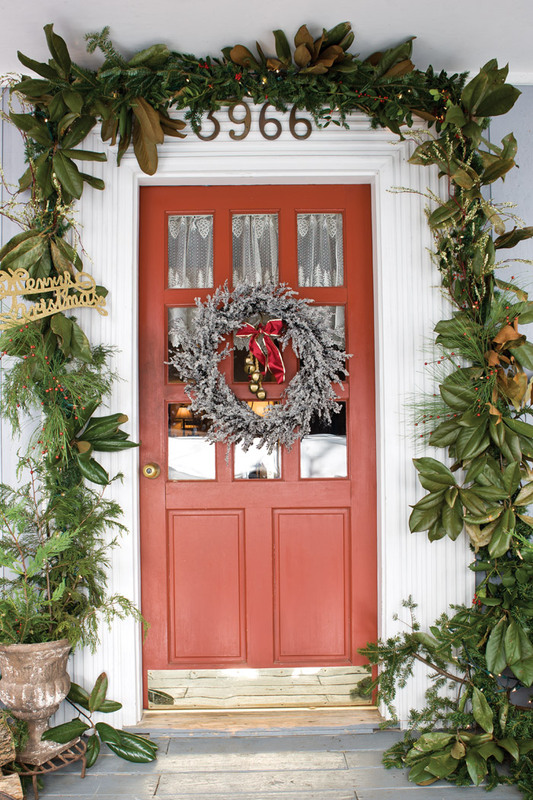 Frame the doorway with garland to creative a picturesque vignette that will catch the eye of passersby. 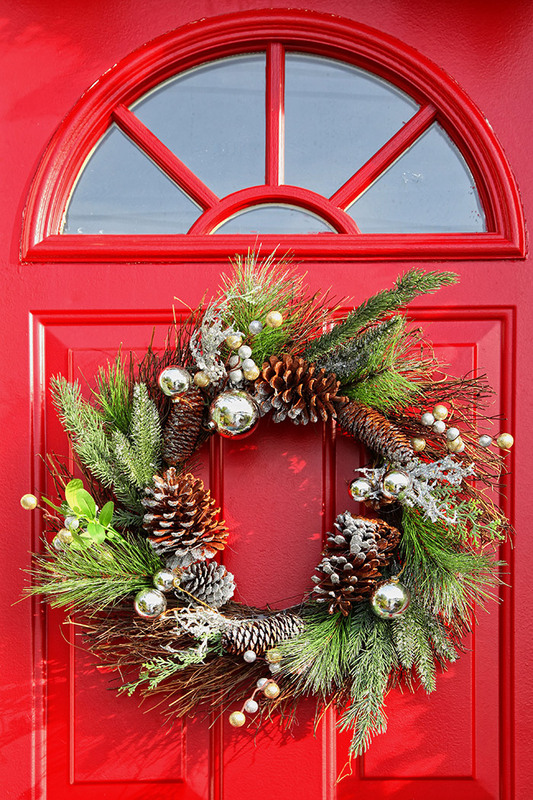 Nestling jingle bells into your front porch decor is not just a cute touch, but also makes the simple act of opening the door literally ring with holiday cheer. Pinecones, baubles, and a bright background make this wreath pop with glee. Classic combinations of red and green at the Yuletide never go out of style.